2006, cat.208) Rose was the model. She made beautiful costumes and head-dresses to wear to the annual artists’ balls and Norman used one of these head-dresses for Courtesan. There was a Pencil drawing Courtesan, there is a water colour artwork also on the Etching House web site, the watercolour is in a private collection, the pencil drawing had recently sold. 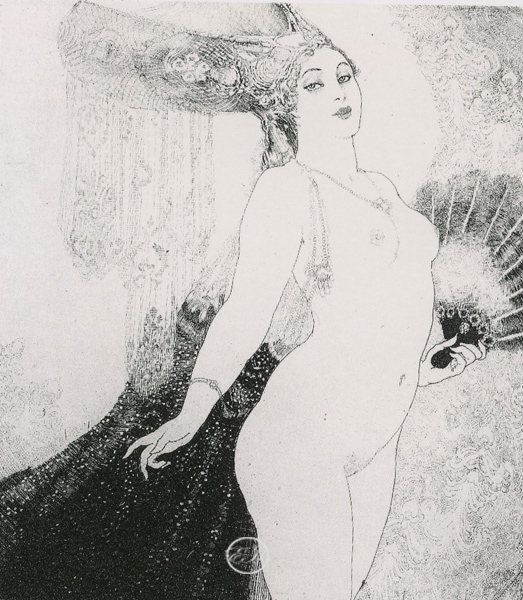 Courtesan is a vey attractive image the more view it, Norman Lindsay was a master etcher in fact amongst the best in the world.